Whoever came up with the phrase “basketball is a game of runs” deserves to be inducted into the Naismith NBA Hall of Fame. On a lot of nights there just isn’t a more simple yet honest way of describing the action out on the hardwood. Despite being exemplified on numerous occasions this year so far, none were more obvious than Thursday night’s shootout against the Houston Rockets. Starting the game 12-0 led by MVP/most grotesque beard candidate James Harden, Rockets' coach Mike D’Antoni had his team well on it’s way to a win even by the end of the first quarter leading 32-12. 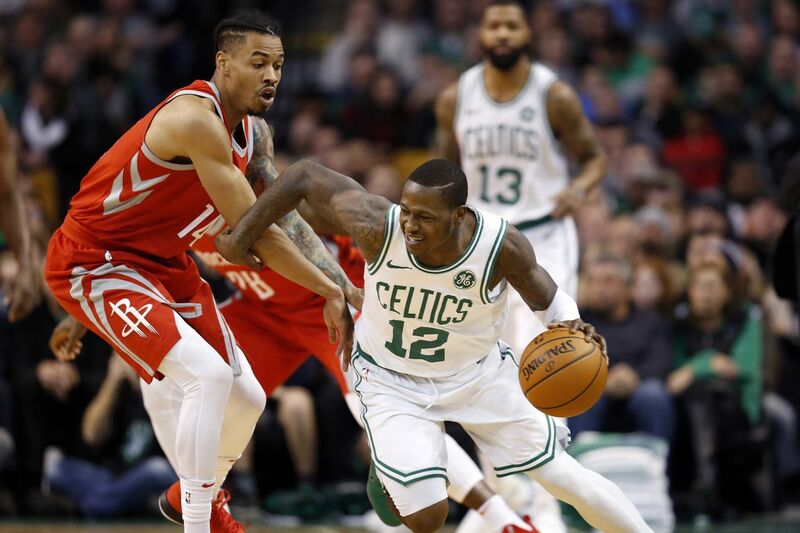 Things didn’t get much prettier for the hometown Boston Celtics (although the offense showed signs of life) in the second as they went into the locker-room at half down 24. Look ... if you turned your TV off by that point or switched the channel, nobody is blaming you. Nobody is upset about the fact that you didn't want to watch our team being fed to the proverbial wolves (that would've worked a lot better if the game was against Minnesota). But regardless of how you felt, if you did stop watching the game, you just happened to miss arguably one of the best comebacks of the last decade in the NBA and easily the best for the Celtics in a while. Storming from 26 down (64-38) with a little more than 10 minutes left in the third, Brad Stevens’ team never gave up and managed to come all the way back. Going up one point on a go-ahead bucket by Al Horford with 3.5 seconds left, the Green finally took the lead for the first time in the wire-to-wire affair. It was a comeback for the ages and one that C’s fans won’t be forgetting for a while to say the least. But for this Celtics team, Thursday was just another day at the office. Now the young squad’s 12th comeback this year while going down by 12+ points, this type of rabbit-out-of-hat trick has become commonplace for Coach Stevens and his troop. On any given night this team has proven it can erase a large deficit at their will between an offense that at times can look unstoppable and relentless effort on defense leading to huge swings. 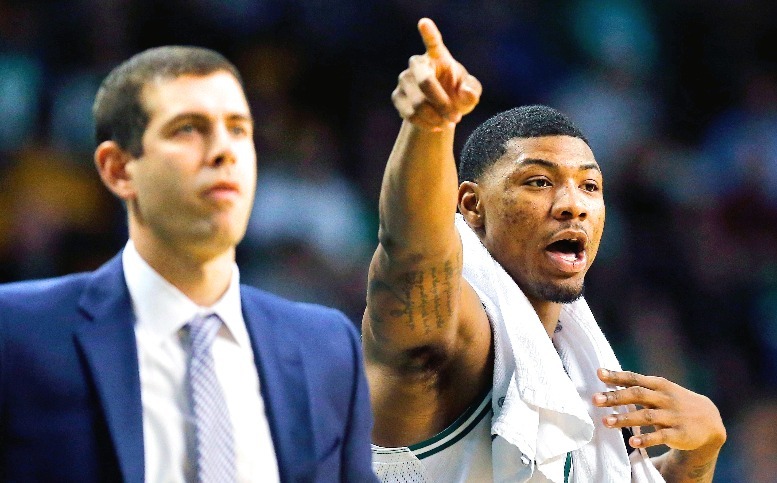 12 times the Celtics have trailed by 12+ this year. That was their 8th win. Surprisingly enough for the Celtics, the starters have not been the catalysts who've sparked these comebacks but rather the bench. 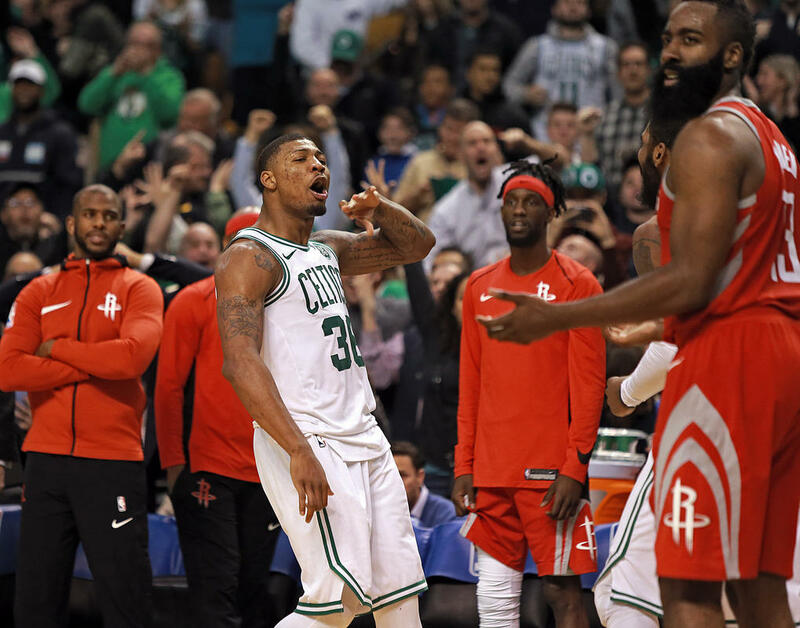 Led by Marcus Smart and Terry Rozier, the second unit seems to always have it's fingerprints all over these runs which lead to the team storming back in front. Despite a rather mediocre shooting output so far this year between the bench's backcourt duo, Marcus and Terry have still managed to post a .83 real plus-minus (and a .87 defensive RPM) between them. This says a lot in terms of how despite not scoring the ball well, their defense will find a way to get it done. Maybe that says more about these comebacks especially as the Celtics currently rank 20th in the NBA on offense and 2nd in the NBA on defense in points per game. So in reality, is it a bunch of threes being knocked down or high-flying dunks or great ball movement that's leading to these runs? Well, they definitely help a lot ... but the defense takes the cake here. Steals turning into easy baskets, great defensive possessions for the whole shot clock, closing out passing lanes, not being afraid to take the charge -- all of these things are becoming synonymous with Boston's mystifying ability to find themselves in the hunt toward the end of each game. All of these are the types of "winning plays" as once described by Stevens, that while they won't appear on paper a lot ... will lead your win-loss looking a lot better on paper. Going forward I'm not sure if fans in Boston should expect to continue to see these comebacks unfold at what seems like a weekly rate. At some point in this game of runs, timing will start to become an issue as some leads will become too steep for even Kyrie Irving's best locker-room speech. But do not assume Coach Stevens will let his team's effort waiver. Having played the most games in the league to this point (it will be 40 total after the tilt vs. the Brooklyn Nets tonight), some people would probably throw the C's a bone seeing what they've accomplished to this point. However despite being in "survival mode" for the last few months, the Green are very well-aware there is a lot more work to be done -- and to a point, more comebacks to be had.